Greenwich Village often referred to by locals as simply “the Village”, is a neighborhood on the west side of Lower Manhattan, New York City. 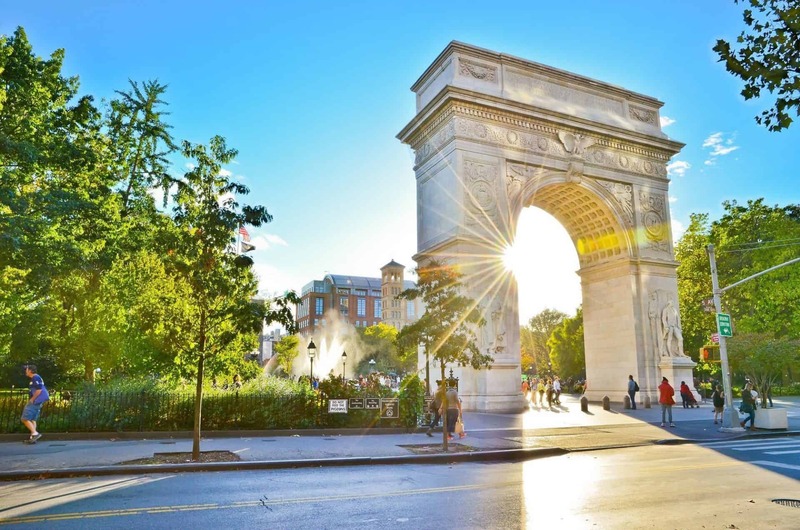 In the 20th century, Greenwich Village was known as an artists’ haven, the Bohemian capital, the cradle of the modern LGBT movement, and the East Coast birthplace of both the Beat and ’60s counterculture movements. Groenwijck, one of the Dutchnames for the village (meaning “Green District”), was Anglicized to Greenwich. Two of New York’s private colleges, New York University(NYU) and the New School, are located in Greenwich Village. The neighborhood is bordered by Broadway to the east, the North River (part of the Hudson River) to the west, Houston Street to the south, and 14th Street to the north, and roughly centered on Washington Square Park and New York University. 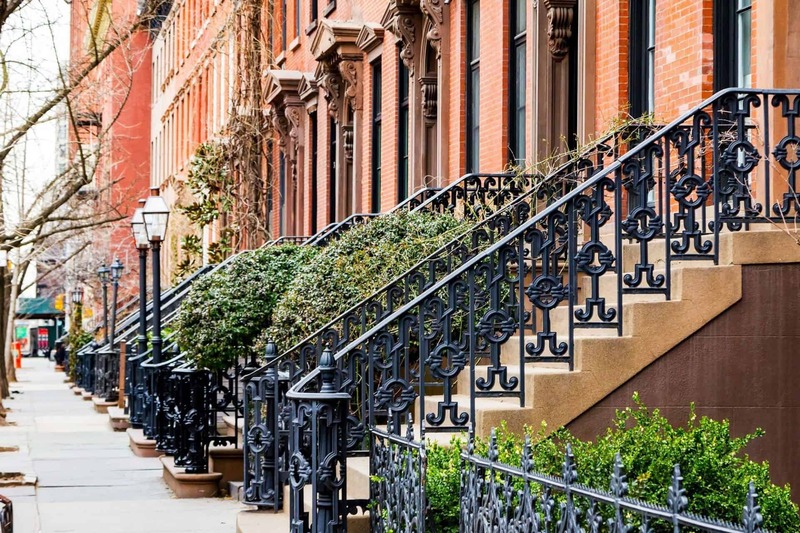 The neighborhoods surrounding it are the East Village and NoHo to the east, SoHo and Hudson Square to the south, and Chelsea and Union Square to the north. The East Village was formerly considered part of the Lower East Side and has never been considered a part of Greenwich Village. The western part of Greenwich Village is known as the West Village; the dividing line of its eastern border is debated. Some believe it starts at Seventh Avenue and its southern extension, a border to the west of which the neighborhood changes substantially in character and becomes heavily residential. Others say the West Village starts one avenue further east at Sixth Avenue, where the east-west streets in the city’s grid plan start to orient themselves on an angle to the traditionally perpendicular grid plan occupying most of Manhattan. The Far West Village is another sub-neighborhood of Greenwich Village that is bordered on its west by the Hudson River and on its east by Hudson Street. Greenwich Village is located in New York’s 10th congressional district, New York’s 25th State Senate district, New York’s 66th State Assembly district, and New York City Council’s 3rd district. Encyclopædia Britannica’s 1956 article on “New York (City)” (subheading “Greenwich Village”) states that the southern border of the Village is Spring Street, reflecting an earlier understanding. The newer district of SoHo has since encroached on this border. If you’re thinking of buying in the Greenwich Village, our foremost goal is to provide you with exceptional customer service. Our goals are to help you purchase the right home, make sure you don’t miss out on any homes that meet your needs and make sure you don’t pay too much for your next home. Please utilize our New York real estate expertise to make your home search and buying experience as stress-free and rewarding as possible. 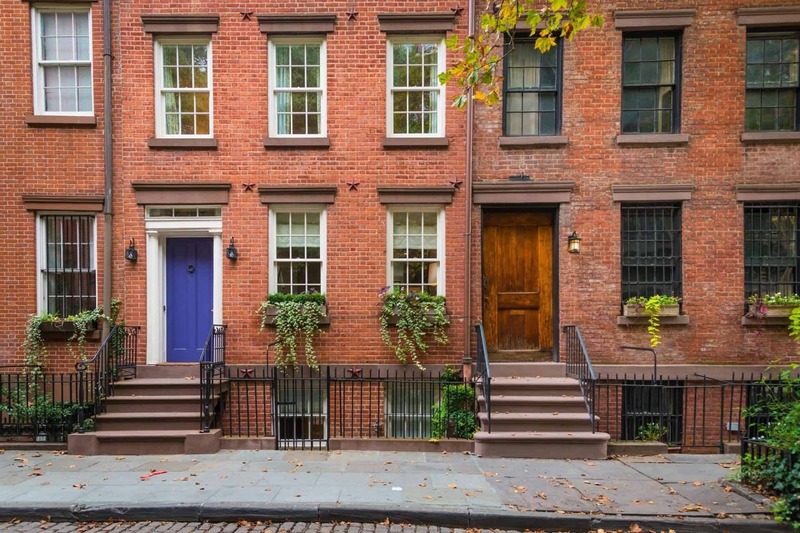 We utilize the latest, cutting-edge, real estate marketing tools to expose your Greenwich Village property to the widest range of potential buyers. We are here to get your house aggressively marketed to sell as quickly as possible and for the best price! 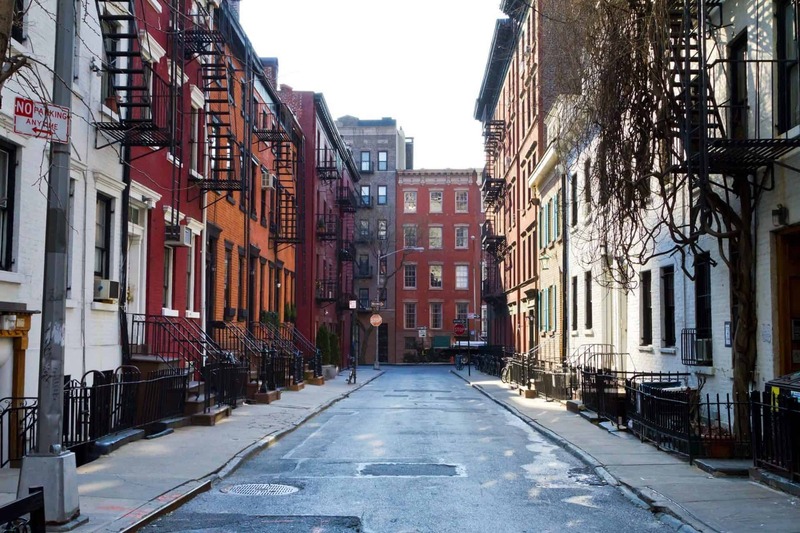 Our goals are to help you get your Greenwich Village home sold, put you in the strongest negotiating position as possible, and to make it easier for you and reduce surprises.